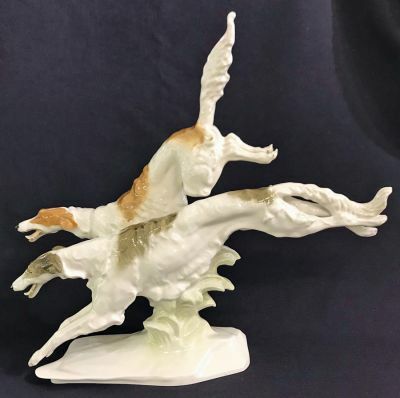 Hutschenreuther porcelain figure of two Borzoi/Russian Wolfhounds running. This figure was modelled by Karl Tutter (1883-1969) who was most active for Hutschenreuther in the 1920s and 30s. 12 3/4” high, 13 1/2” long.